Razaak Khan suffered a massive heart attack past mid-night at about 12:30 am. He was immediately taken to Holy Family Hospital in Bandra. In the hospital, doctors declared him dead. The funeral of Razak is awaiting the arrival of his son, Azad Khan. Azad works in Croatia. Some of the favorite films of Razak includes Hello Brother, Joru Ka Ghulam, and Kya Kool Hain Hum, and some others. He is popularly known for the contribution he did in these films. Razaak debuted in Bollywood film industry with the movie Roop Ki Rani Choron Ka Raja in 1993. In his entire career, he has worked in more than 90 films. Also, he made an appearance on Comedy Nights With Kapil Sharma in 2014 as Golden Bhai. 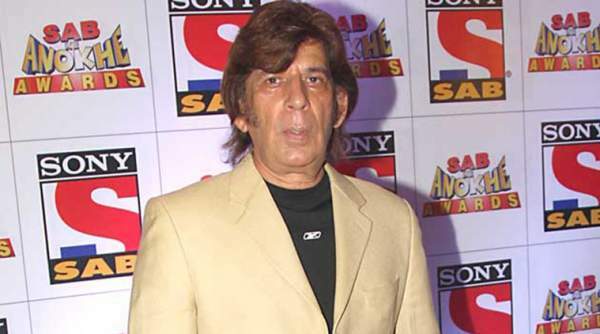 The funeral of Razak Khan will take place in Mumbai tomorrow in the evening after 4 pm at the Narialwadi Kabristan at Byculla. RIP Razaak. May his soul rest in peace. Stay tuned for latest Bollywood news and updates. Aaj Bollywood ko anmol comedy star hamare bich nai raha so sad .bhagwan unki aatma ko shanti de. RIP…..Bollywood industry s ek kohinoor or chla gya ,bhgwan unki aatma ko shanti de,aapne hme itna hsaya or aaj hme rula gye aap.I miss u so mcchhhhhhhhhh……. Miss u rajak khan ji aapke atma ko shanti mile. Sari duniya aapko kabhi nahi bhul paygi. miss u razak…allah janat naseeb karain..
Sir you were great actor, miss you always. RIP..
rajjak Bhai aap ne hum sab ko bahut hasaya or aaj bahut rulaya.bhagvan aapki aatma ko shanti de.